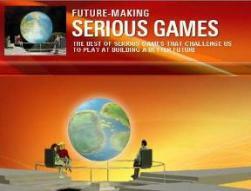 My New Blog "Serious Games Experts"
Cross-posting from the Serious Games Experts Blog - I have been monitoring the Serious Games space since 2006, witnessing organizations introduce Serious Games & Simulations to make their company's value proposition more compelling and understanding how games are utilized for education and contextual learning. 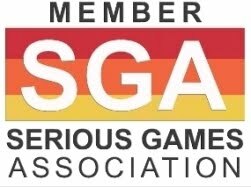 I have created thisnew Blogto honor Serious Games Experts worldwide -Researchers, Developers, Entrepreneurs, Advocates & Adopters - and celebrate their breakthroughs. Via:Mark OehlertRT@iThinkMedia: [Blog] Trust Me: Math Can Be Fun With Calculation Nation! Calculation Nation is a free, easy to use, mathematics game site, offering Serious Games for most K-12 students. Calculation Nation offers students the opportunity to practice their mathematics skills individually or in a head-to-head format playing against other students. For parents and teachers, Calculation Nation offers suggestions for using Calculation Nation. Calculation Nation™uses the power of the Web to let students challenge opponents from anywhere in the world. At the same time, students are able to challenge themselves by investigating significant mathematical content and practicing fundamental skills. The element of competition adds an extra layer of excitement. Via:Burkey’s Blog- Slides from Barcamp Derry - The History of (A) Video Games and [B] Serious Games A Barcamp is an informal, free, and participatory conference style event where the content is provided by the participants. They take place all over the world (including some great recent events in Belfast and Dublin) and are open to anyone who’d like to come along. Via:Play Think Learn and Educational Games ResearchNicola Whitton is a Research Fellow at theEducation and Social Research Institute at Manchester Metropolitan University. She is interested in the potential of using online games for learning, teaching and assessment - particularly in Higher Education but also in the context of all sorts of adult learners. Via: Accenture- Interactive Wall Technology: Seeing the Big Picture Accenture’s Interactive Wall is a scalable in size, networked, high resolution, touch screen interface. It gives users the "big picture," whether in a strategic decision-making context or a retail and advertising environment.